Today at Around the Block with The BamaSteelMagnolia I share the finished results of the latest project I’ve been working on…Addi’s Ark. This one is a real labor of love and I first wrote about it in Fruits of Labor. 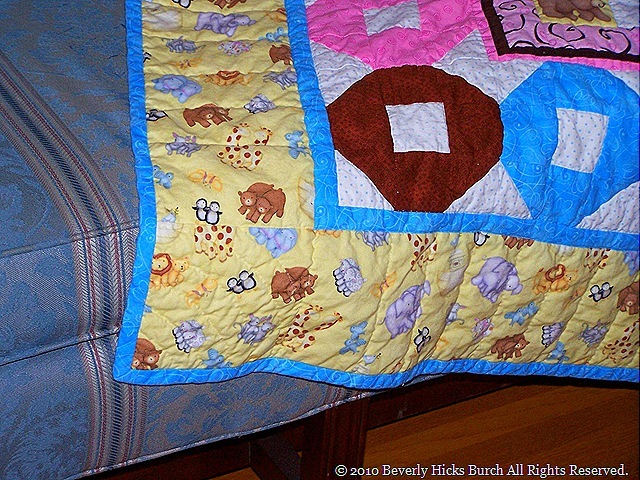 This little project has been my first baby quilt and it’s for a very special baby…my first grandbaby! © 2010 Beverly Hicks Burch All Rights Reserved.